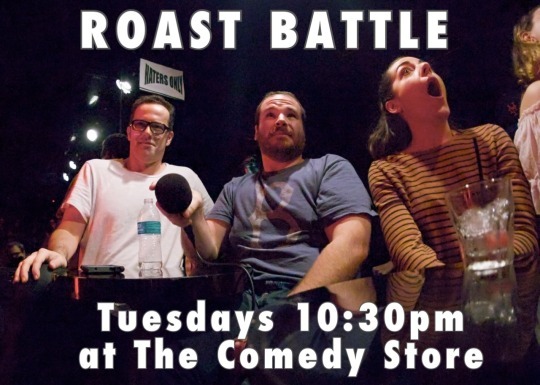 Every week, Roast Battle keeps a million comedy gears whirring smoothly, putting itself through test after stressful test while still churning out the most entertaining live show in the nation. Fresh off this weekend’s drop-in show at the Get A Room festival at the Hammer Museum, we’re taking the Belly Room back with a record number of battles on the fight card to whet your appetite for blood. Eight battles. Sixteen competitors. Three judges. Let’s get to know who’s who. 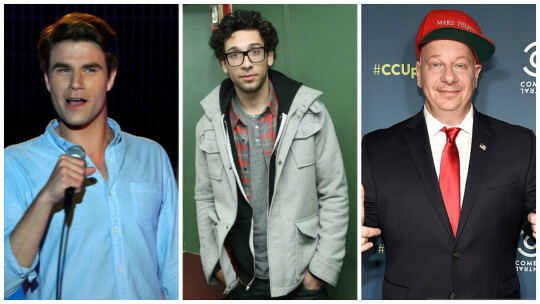 This week, our firing squad includes some of the quickest-witted white guys in town. 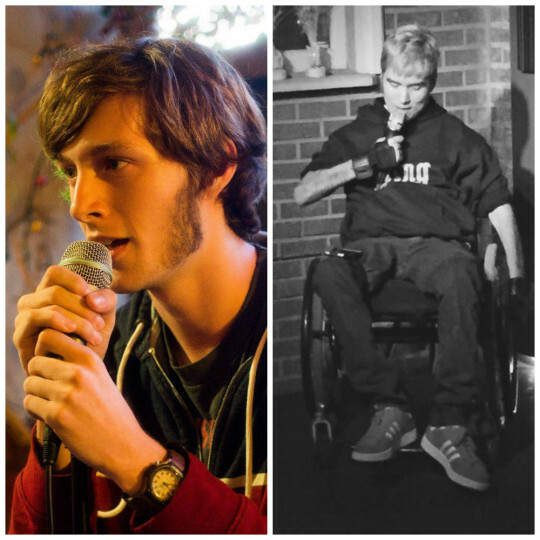 Matthew Broussard, the runner-up in 2015′s Roastmaster’s Invitational who can currently be seen all over your TV screen, is the closest thing stand-up has to a teen heartthrob. Fingers crossed his presence on the panel will finally get us a sweet writeup in Tiger Beat. Rick Glassman has had highs and lows as part of the panel in the past, partially because of how deep into the meta humor well he’s willing to dive, but his comedy chops are sound, and he’s coming to us hot off his role as The Sixth Lead on the now-cancelled Undateable. Finally, Jeff Ross, the one and only Roastmaster General, is set to bring some law and order to the VIP section with his signature blend of insight and insults. 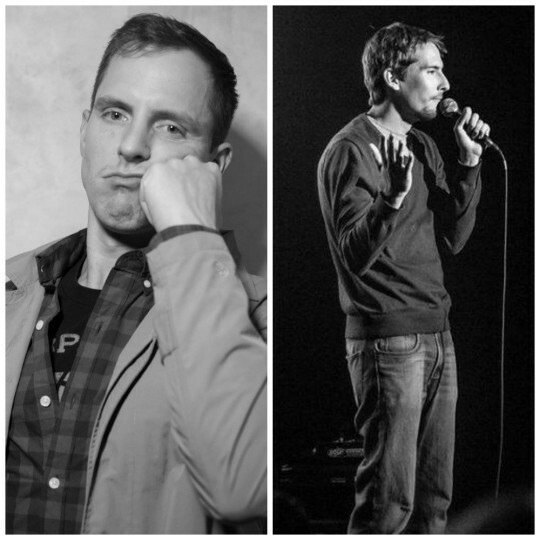 Our first undercard, an Orange County special, has Andrew Pupa set to pop the Roast Battle cherry of Jacob Trimmer! Andrew, seen here leading community college orientation week, has one victory in the Roast Battle ring under his belt already, which may give him the edge to keep his winning streak alive. However, Jacob, seen here leading county jail orientation week, has a rough-and-tumble past that he’s now turning into comedy. In a past life, he had to beat up on dudes who didn’t pay for lap dances, now he has a chance to beat up on a dude who runs a comedy show at a drag bar. That, folks, is what we call progress. Next in the ring, we’ve got two newcomers who are hungry for victory: Christian Pieper and Bruce Gray! These two are classic BFFs: Battlers Filled with Fat. When they aren’t chowing down across the greater Los Angeles area, they’re playing softball and slinging phenomenal jokes wherever they can. 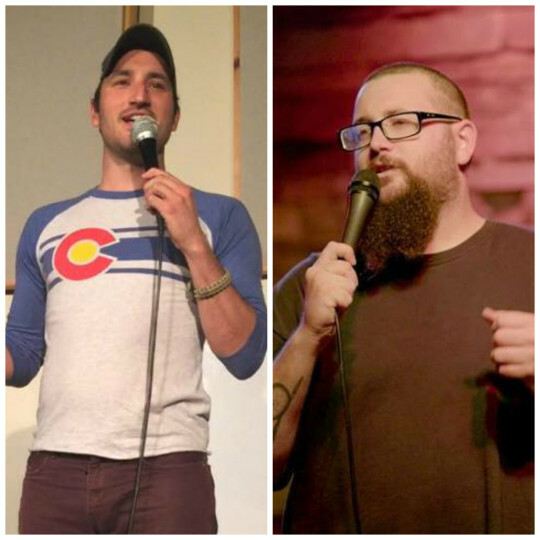 Both these guys are escapees from smaller comedy scenes – Christian by way of Salt Lake City, Bruce by way of Bakersfield – but they’ve proven themselves to be worthy fish swimming in the LA pond. The only real question: who will claim victory in their first-ever clash in the ring? Next on the undercard docket is a beatdown between Dakota Freeman and Greg Roque! Here, we have a Civil War re-enactor versus a guy who’s already lost to the machines. This is the first of a couple rescheduled battles tonight. The last time these two were set to duke it out, Greg suffered a broken leg before he could even make it onto the property, leaving a hole in our dark battle hearts and an opening in the handicapped space. Tonight, he’s recovered and ready to bring the same dynamite heat he brought to his last battle against Joe Eurell. It’s no secret that when it comes to Roast Battle, Dakota is probably the one with a bigger disadvatage. And that, friends, is part of what makes this show so special. It evens the playing field so that anyone can be a star. Or a loser. Your choice. 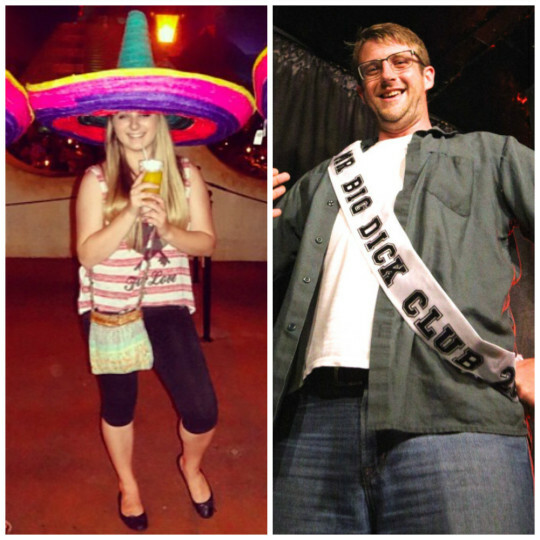 In the first of our heavyweight undercards tonight, we’ve got a Battle of the Sexes that’s also a Battle of the Exes: Nicole Becannon versus Dan Nolan! These two are former lovers and current friends. At least, I hope that’s why they’ve decided to take their issues to the ring tonight, and not because they’re trying to find the most explosive way to not talk to each other ever again. Dan just battled last week, taking down Lindsey Jennings, and Nicole is still amped up from her dynamic loss to Leah Lamarr. This is the first battle we’ve seen of its kind in the Belly Room, and we’re all waiting with bated breath to see how this Viking funeral for a relationship unfolds. Next up, we’ve got a rescheduled bout between two darlings of the Los Angeles comedy scene: Barbara Gray and Cornell Reid! Another battle that had to be rescheduled due to an unfortunate injury – this time because Barbara got mauled by a cat – is finally gracing us with its presence. Barbara and Cornell are local legends, charming venues all around the city with their jokes and producing shows regularly as well. As far as Roast Battle experience goes, Barbara has the upper hand, having battled before against TV’s own Ashley Barnhill, earning accolades from none other than Dave Chappelle for her performance. Cornell has never taken his lumps in our dojo before, but if his cat-centric intimidation photo is any sign, he’s ready to draw some figurative blood. 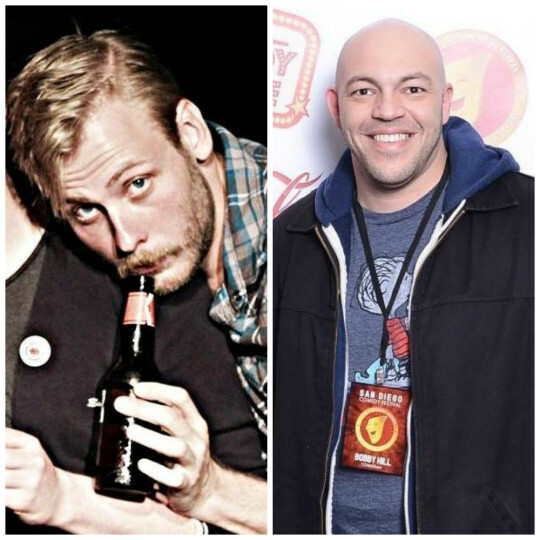 Then, we have two Chicagoans stepping into the ring to tussle for the title of Deep-Dish Douchebag. It’s Sean White versus Bobby Hill! Let’s see how they do it in the Midwest. 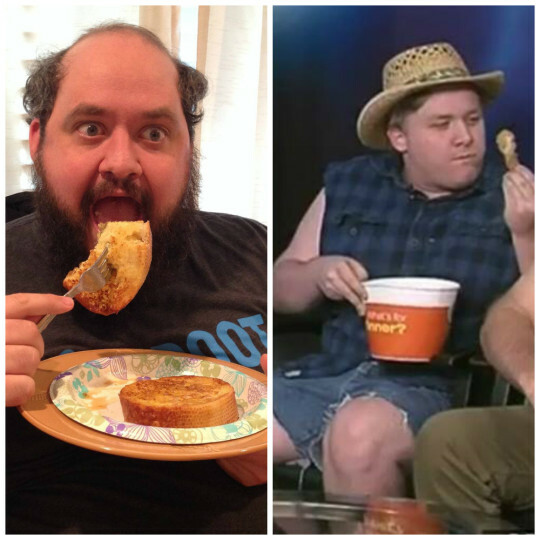 Eagle-eyed fans of this show will recognize Sean from his stint on this summer’s Road to Roast Battle (which you can watch by clicking the link), while fans of Mike Judge will be disappointed that everyone’s favorite lumpy Texan isn’t magically stepping into the ring. Instead, we get this hot dog. I’ve never seen Bobby’s comedy, but if the sharp-tongued Sean trusts his abilities enough to take him on, then I think we’ll be in for a treat. 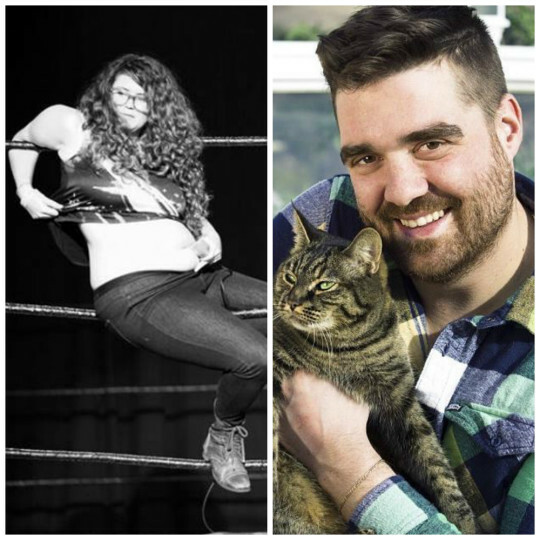 Our final undercard of the night is our middle finger to diversity showcases everywhere: Andy Haynes versus Rob O’Reilly! Rarely have two funny people looked so depressed. Rob, a staple of the LA scene and the proprietor of the Peachy Keen comedy show, returns to the ring after his tussle with Danny Jolles. Andy, a Roast Battle newbie, is a veteran comic and TV writer, and a paid regular at the Comedy Store to boot, meaning he’s got home field advantage in tonight’s fight. With most battles featuring two white guys, it’s hard to imagine what demons will get brought up in the jokes. Some say that’s a disadvantage, but I say it offers the opportunity to be even more creative. Let’s see how these two handle it! 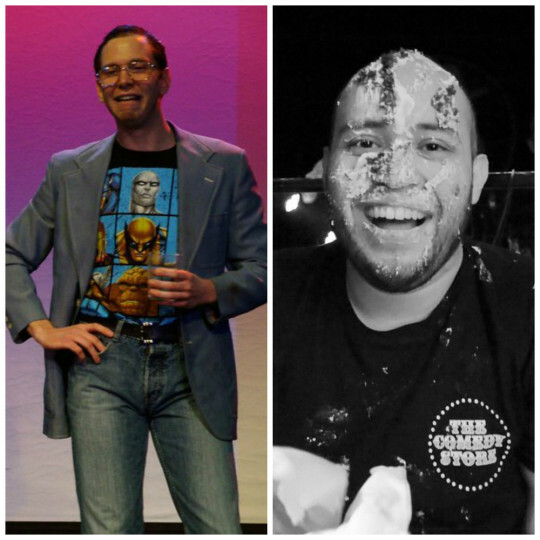 Finally, our main event features two Roast Battle veterans and perennial favorites in the ring: Doug Fager and Frank Castillo! Both of these guys battled both last month and at the Hammer shows over the weekend, but clearly they can’t get enough of the show. Frank is one of the only OG Roast Battlers still competing, and while we love him, tonight he needs to rebound from the losing streak he’s found himself on. Doug’s Roast Battle star is on the rise after notching a strong win against Tony Bartolone last month, rocketing him to the highest spot he’s ever held on the rankings. Can he climb even higher with another victory tonight? Will Frank Castillo reclaim his mojo and take down the fearsome Fager? Tune in to find out!